Creamware pitcher with transfer-printed decoration. 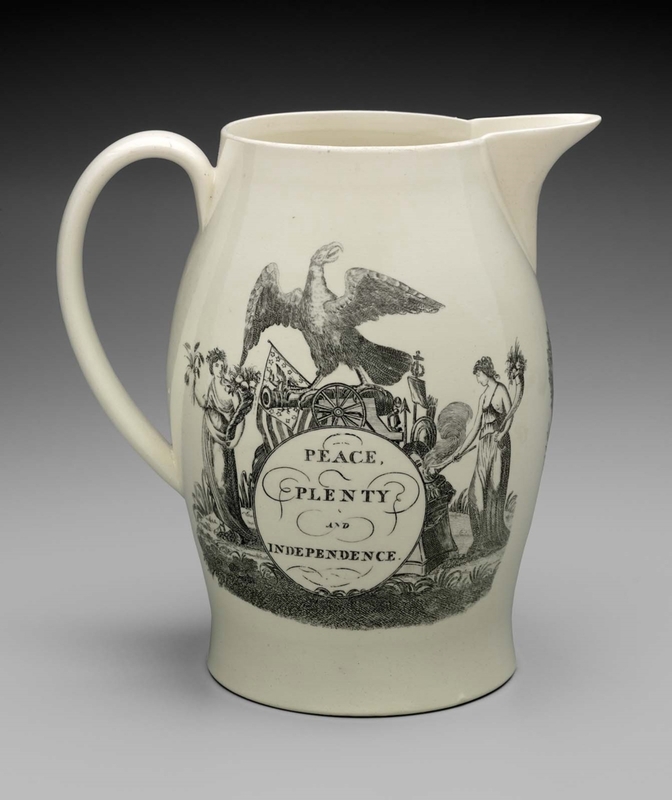 One side shows figures of Peace, Plenty, and Independence, with the other side depicting an unidentified ship. Gift of Timothy Phillips in memory of Thomas F. Phillips, Jr.